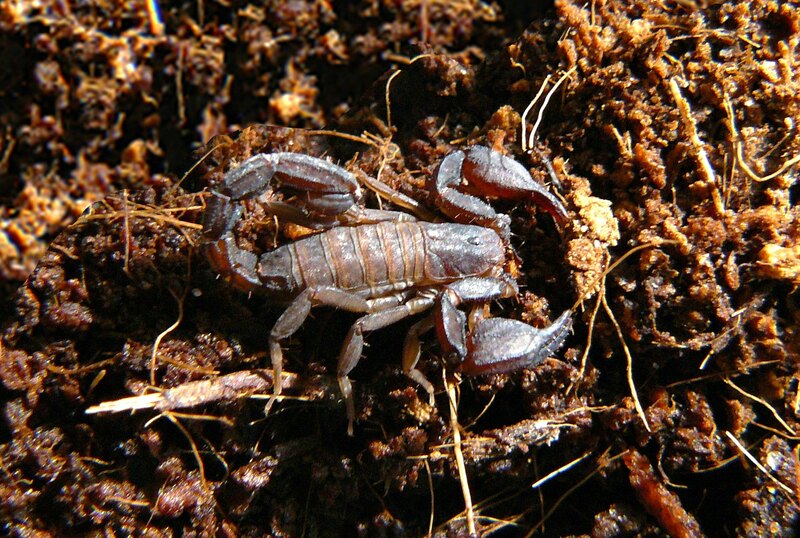 The photo of this male, Arizona Scorpion was taken in a canyon in the Chiricauhua Mountains near the border with Mexico. It is a medium sized Arizona Scorpion. Found walking about at 9 PM. Arizona Scorpion page last updated 01/14/2017.